At the loading area, you’ll board safari trucks that whisk you off to begin your African safari adventure. 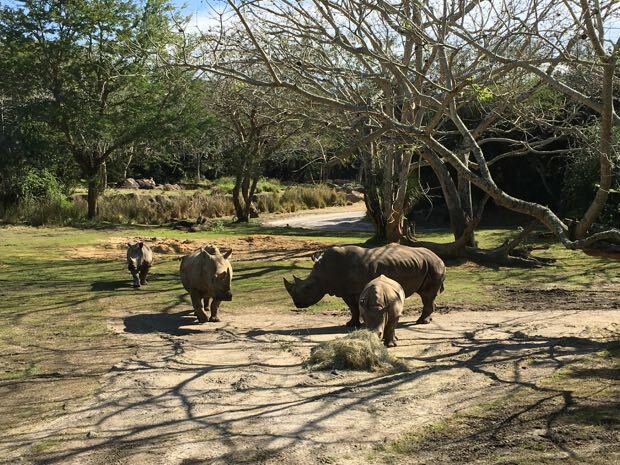 The tour traverses a 100-acre savannah, during which your tour guide directs your attention to some of the 34 different species of birds and animals found throughout the game preserve. On the dashboard of each row of the vehicle, you’ll find labeled pictures of each of the inhabitants. Some of these include antelopes, black rhinos, white rhinos, warthogs, ostrich, giraffes, zebras, elephants, crocodiles, hippos, baboons, white-bearded wildebeests and lions. TIP: Bring binoculars to get a close-up glimpse of the animals that may be off in the distance. 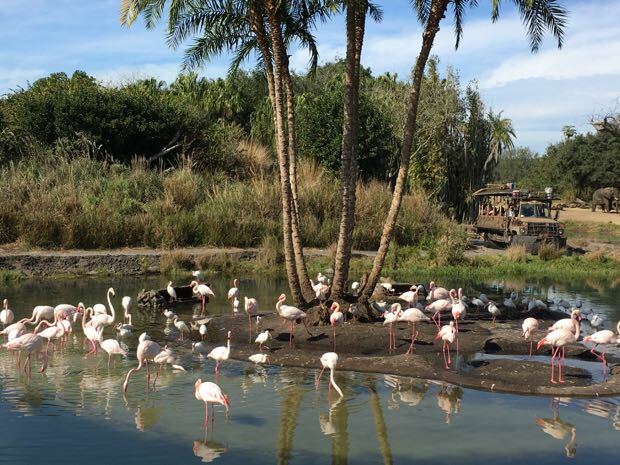 TIP: The best times to ride the Safari is first thing in the morning or later in the afternoon. The animals are often more active during both of these times. This is a wonderful opportunity to see herds of free-roaming animals in a “natural habitat”. Don’t be surprised if some animals come right up to the truck. While it may look like the lions are a stone’s throw away, there is actually a deep “pit-like” area camouflaged by the abundant landscaping that separates man from beast. Your journey takes you over muddy trails and through small creeks. This ride can be full of bumps and jolts so those with back or neck problems and expectant mothers should not ride this. TIP: Use the FastPass option here. Using your park admission ticket, get your FastPass and enjoy one of the other attractions rather than standing in line, and then return at your designated time with virtually no wait. 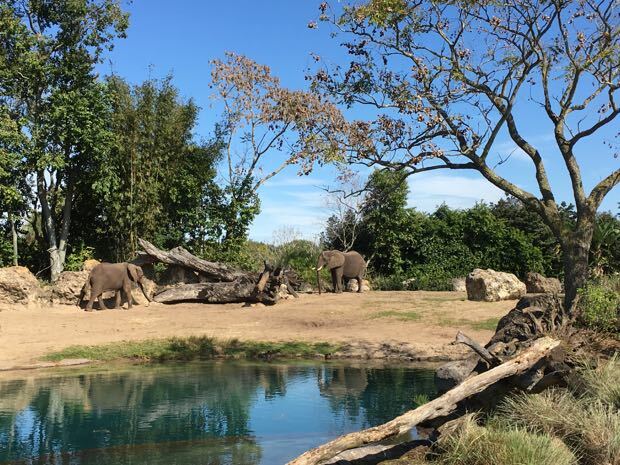 Handicapped Accessibility: Guests using ECVs must be able to transfer to a wheelchair in order to ride the safari trucks. Closed captioning for the hearing impaired may be turned on using remote control activators (which are available at Guest Services with a refundable deposit). Guests travel over the African savanna on this special nighttime version of the safari, complete with two new animal species - African wild dogs and hyenas.